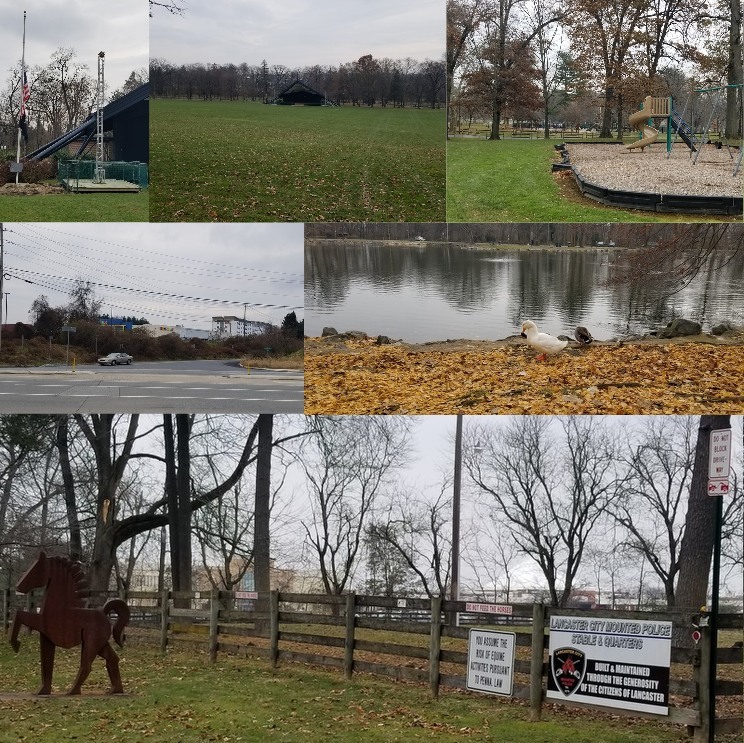 Scenes seen at Long’s Park – from top left – left to right and top to bottom: the United States flag correctly displayed; the band shell, from a distance; playgrounds; the new view across Harrisburg Pike; ducks by the pond and the home of Lancaster City’s horses. Seen last Sunday evening just before the tree lighting on Lancaster Avenue. 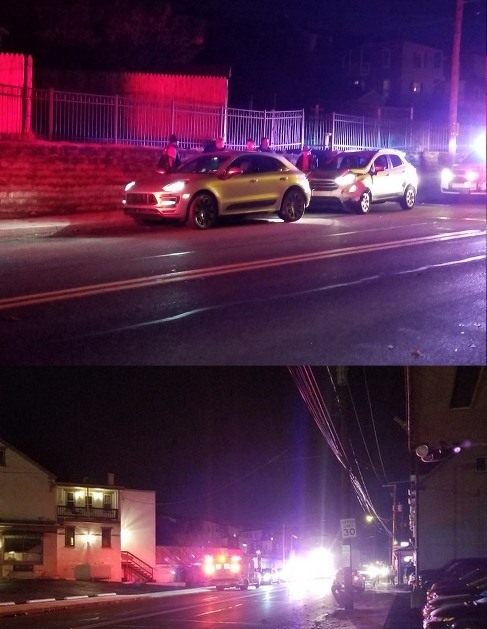 A fender bender led to emergency response from (in order of on-scene appearance) Columbia’s police, Susquehanna Valley EMS, the fire department and Columbia QRS. 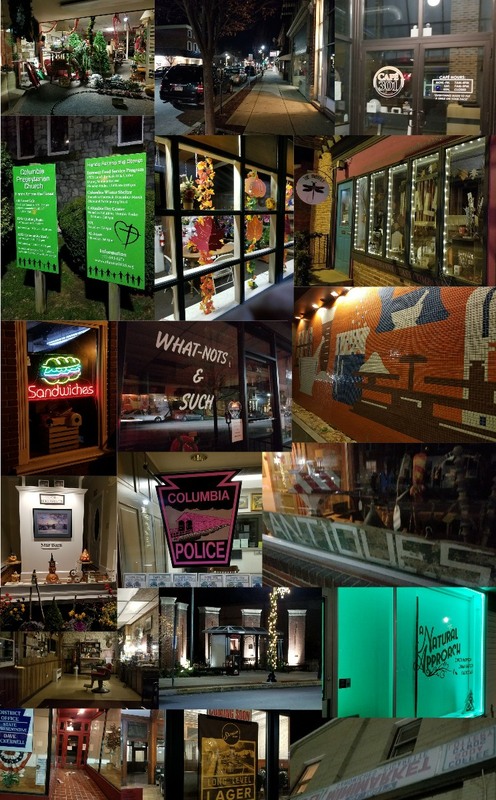 Also seen last Sunday evening before the tree lighting, holiday themes are part of several of Columbia’s store fronts at night.